It's been a couple of weeks since we've been able to write one of these blog posts! We've been awfully busy between moving kittens around, trying to arrange for a new momcat, and obviously, the adoptions of Ivy's League and the Weathercats! When we are busy like this, we hope you keep involved by watching our Facebook page, or even more, our Twitter feed. We try to keep some activity on the Twitter every day. And of course, for those of you who are Patreon subscribers - even if only for a dollar a month - you get access to a 24/7 live chat, with some wonderful people. So, on to the news. Firstly, the most important thing to mention, is that Dusty is still seeking an adopter. [Edit: DUSTY HAS BEEN ADOPTED! THANKS EVERYONE WHO HELPED GET THE WORD OUT!] Tomorrow is Saturday the 3rd of December, and Animal Outreach Society has decided that Dusty will go to the PetSmart in McHenry in the morning, and stay there until she is adopted. 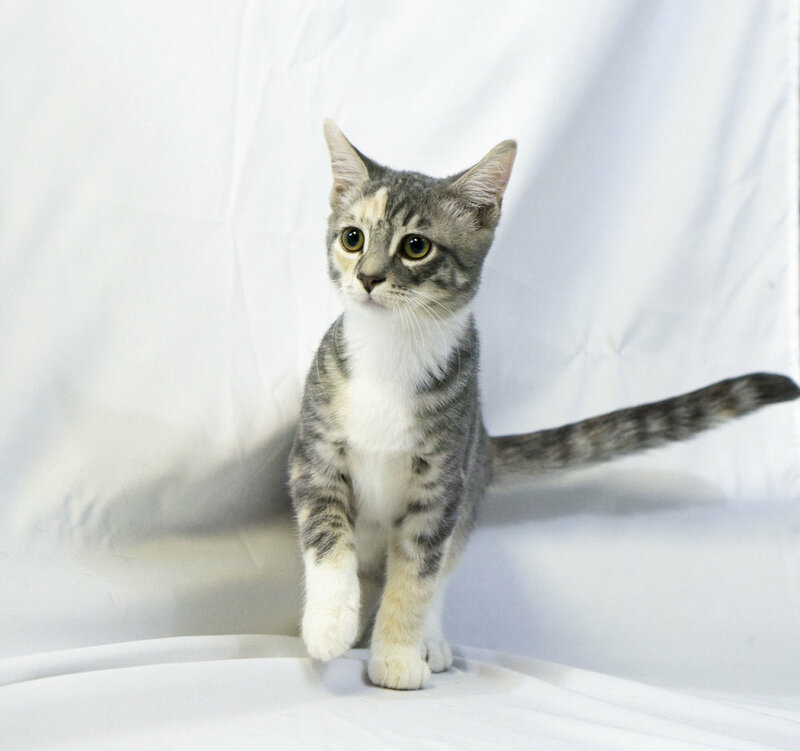 She's a wonderfully sweet, loving kitten who is playful, gets along very well with other animals, and never tires of snuggles and pettings from humans. And snuggles and pets back as best she can! If you or someone you know is interested, please contact Animal Outreach Society. 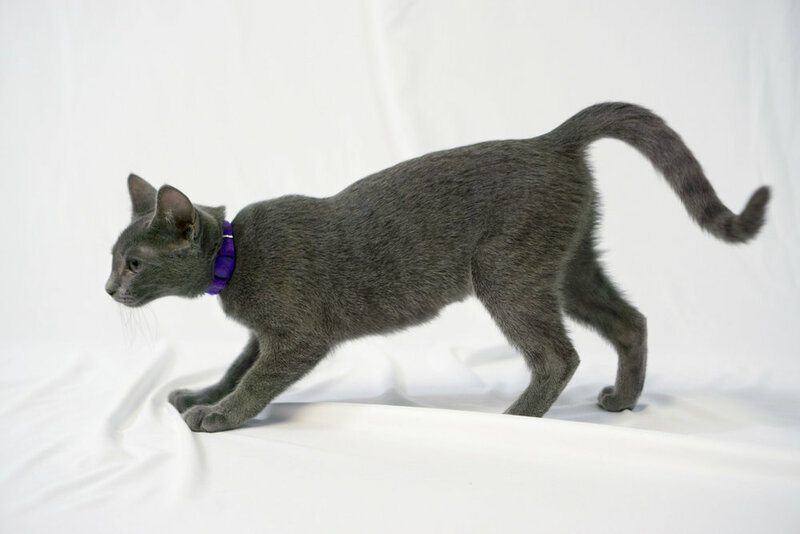 The other kittens in the group have all been adopted, and some of them, in spectacular fashion! Harv and Stormy were adopted together, by a family that made a six-hour round trip from far northern Wisconsin just for the kittens! 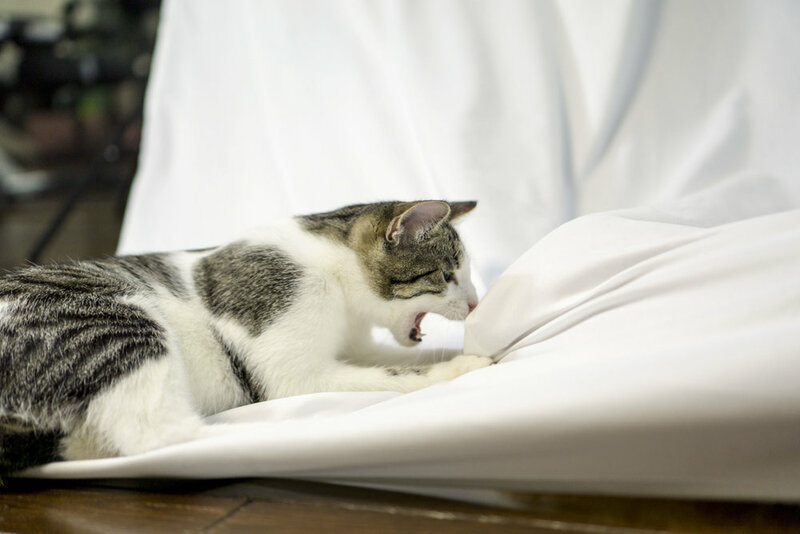 In any other Kitten Academy graduating class, that would have been the most amazing thing all by itself. 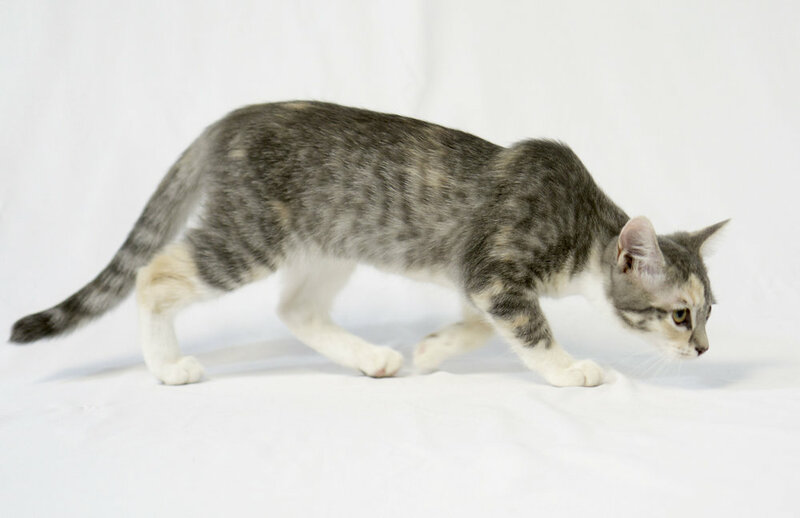 But we have another major milestone from this charming class of kittens: Yale is being adopted by a "mystery adopter" who is flying in from another state, just for Yale. They will be arriving at the Kitten Academy on Saturday morning, at 7am, and flying back home with Yale the same day. Yale's adopter will appear on the live stream at least a little bit, and we'll take whatever video and photos we can, for people who are unable to tune in live. We wish we had the resources to give this event all the fanfare it deserves, but instead, we'll just bring our enthusiasm and sincere appreciation. Finally, we think most of you are aware by now that we have Abby in the annex, a new cat from On Angel's Wings, who we believe to be pregnant (the cat, that is). We don't know much of her story, only that she was relinquished at a shelter by her former owner. When we started Kitten Academy, our hope was only to raise a little awareness of the kittens we foster, locally. 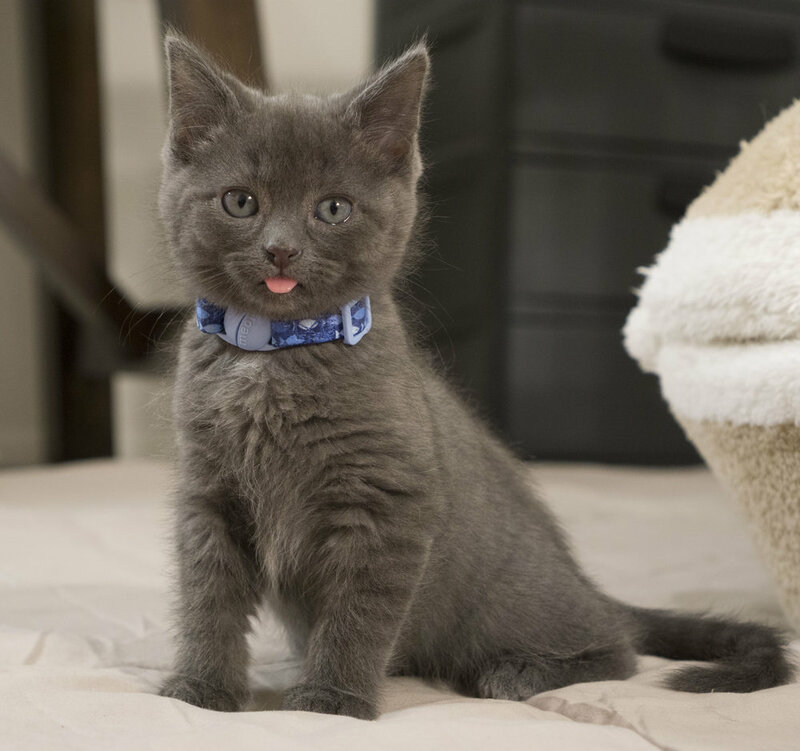 Instead, you all have helped make Kitten Academy a global presence, and having half of the kittens in this last graduating class adopted from out-of-state is absolutely mind-boggling! Thank you all for helping to get the word out, and for your support.